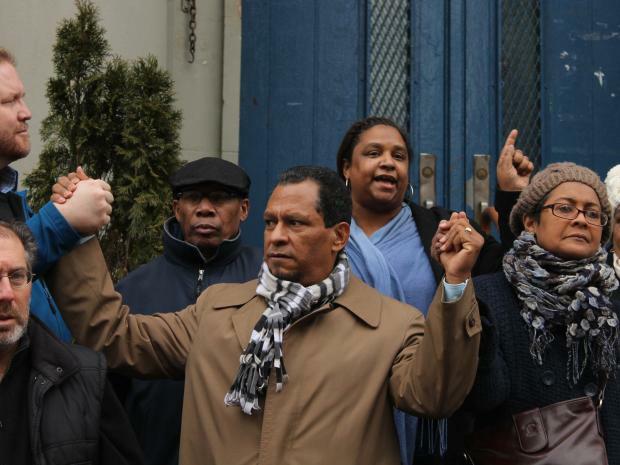 WASHINGTON HEIGHTS — A popular Washington Heights school placed on the chopping block by the city's Education Department has been spared from closing. Dozens of parents and advocates rallied outside of P.S. 132 Juan Pablo Duarte on Wadsworth Avenue Friday morning, shouting "Sí se puede" less than a month after they called on the Department to Education to scrap plans to close the school. "We raised our voices and we were heard," said Judith Amaro, president of Community Education Council District 6. "Now it's time for us to raise them even higher." Added Amaro: "No compromises for our children." Juan Pablo Duarte was one of 36 schools eyed for closure by the Department of Education in October. The community rallied around the school, holding several protests and arguing that the school, which has a high percentage of English Language Learner (ELL) students, was being unfairly judged. The community held several meeting with DOE officials in the weeks after the closure was announced, and Juan Pablo Duarte was removed from the list of targeted schools in January. "This school needs to be saved and it needs help," said city Councilman Robert Jackson, who added that the school was still reeling from more than $1.5 million in budget cuts since 2009. Former Assemblyman Guillermo Linares, also in attendance, said the school was an important beacon to the heavily-Dominican community. "This school is the heart of the community," Linares said. "So many students that went to this school have gone on to college and gone on to become successful."